This is one of the best quotes that inspire me. It happens many times that we know we are on right track, but unsure on how our family members or society around us might react to that. We are afraid that no one stands up for us if we take that right direction which majority doesn't support. But, there is something called intuition and conscience. It says loud and clear if we are right or not. I prefer listening to that. Whenever people take decisions on their academics, job, marriage or their hobbies, they might get conflicting opinions from friends, family and others. It is very good to listen to all the opinions before taking a decision. But, we should take a decision on our own assessing the impact and we should own the responsibility too. No one is perfect in this world and these decisions might prove us wrong in future. 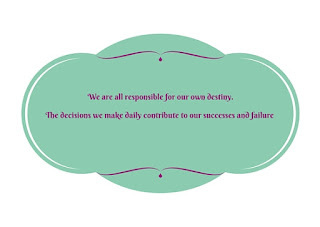 But, taking responsibility on failure, learning from it and correcting is the best course of action one can do, instead of blaming people who helped in taking the decision. 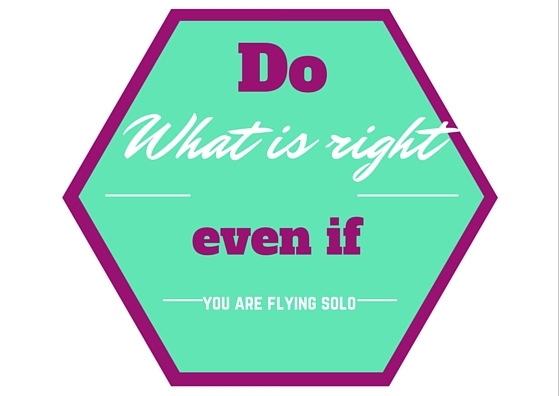 So my #LifeMantra is doing what I feel right, even if I have to stand alone because of it. 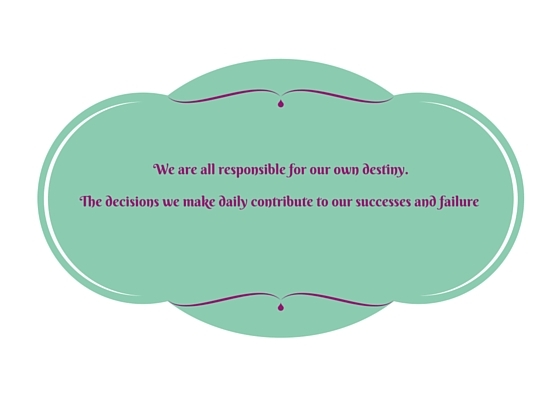 I want to take responsibility of my success and failures equally. What is your opinion on doing it right when no one supports you? What's my blog all about?